Rosemary Woodhouse's Wardrobe. Outfit 43: Yellow cotton sleeveless dress, gathered under bust with a bow. 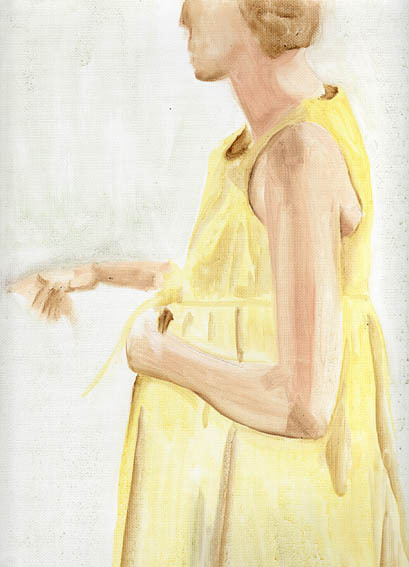 (Arranging baby’s room), 2009, oil on paper, 30.5x23cm.